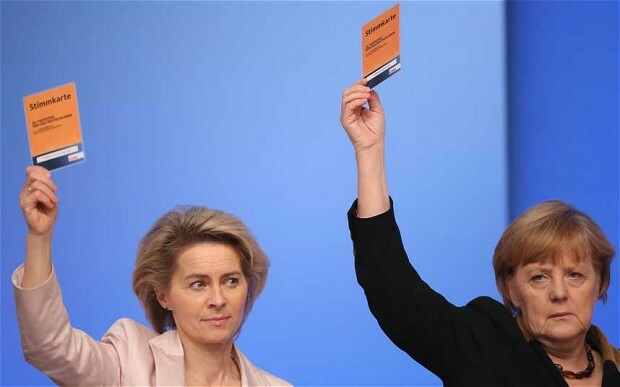 THE DAILY TELEGRAPH: Germany's employment ministry has banned its managers from calling or emailing staff out of hours except in emergencies, under new guidelines intended to prevent employees from burning out. The guidelines state that ministry staff should not be penalised for switching off their mobiles or failing to pick up messages out of hours. The move follows similar restrictions on out-of-hours email imposed by German firms including Volkswagen, BMW and Puma. VW stops forwarding emails to staff from its company servers half an hour after the end of the working day, while other firms have declared that workers are not expected to check email at weekends or in their free time. The labour ministry's rules only allow contact if the task cannot be postponed until the next working day. Managers should apply a principle of "minimum intervention" into workers' free time and keep the number of people whose spare time is disrupted as low as possible. Washington and London's push for military intervention has taken its toll on the financial world. The threats have spurred oil and gold prices - while investors have rushed to pull their money from stock markets. RT's Katie Pilbeam looks at how the rhetoric has affected the world economy. THE GUARDIAN: The squeezed middle yelps. Indeed, on the latest statistics, it is gasping for air. Will they riot, or form an orderly queue to loot Debenhams? A while back we heard a lot about the "squeezed middle", the decent, hardworking people who were having to tighten their belts or expand them according to the price of spelt. No more long breaks at Easter. More Lidl, less Ocado. Less discussion of house prices, more of the cost of education, all of this underpinned by a niggling anxiety about longterm employment. Sure, zero hours and freelance life is great for young "creatives". Less good if you have children, ever get ill, or (and this may come as a blow) you are not actually a "creative" but a worker. A middle-class one with a salary, but a worker nonetheless. Workers should be able to save but are finding it impossible. The squeezed middle yelps. Indeed, on the latest statistics, it is gasping for air. THE DAILY TELEGRAPH: Mark Carney, Governor of the Bank of England, signalled he is ready to pop any looming housing bubble as he gave his first speech in the role. "The Bank is acutely aware of the risk of unsustainable credit and house price growth and will be monitoring it closely," he said in Nottingham on Wednesday. "The important thing to recognise is that we now have tools other than interest rates that can be used to contain risks in the property and financial sectors. We are now fully prepared to deploy them if that were needed." The Bank could, he said, use its newer tools to recommend that banks and building societies "restrict the terms on which new credit is provided, or even to raise capital requirements on mortgage or other types of lending". This would allow the Bank to avoid raising wider interest rates across the economy even as it acted to put the brakes on specific areas. This Carney guy has very quickly turned into a nightmare for savers, hasn't he? Doesn't he know what he is doing to people's hard-earned, hard-saved money? Doesn't he realise that many people depend on their savings, especially in old age? Doesn't he realise that most people cannot live off their fat earnings of £800,000+ per annum, and receive an exceedingly generous housing allowance too? Rupee, one of Asia's worst-performing currencies this year, plunges 3.6 percent to 68.75 against US dollar. LE FIGARO: François Fillon, a affirmé qu'il fallait "une thérapie de choc" pour redresser une France "en déclin", aujourd'hui dans son fief de la Sarthe, où il a réuni ses soutiens pour réfléchir à l'avenir. "Le débat de fond est de savoir si nous pouvons sortir ou non de la régression qui nous mine depuis un quart de siècle. C'est possible! ", a affirmé François Fillon, lors d'un discours prononcé devant une centaine de parlementaires et cadres UMP, rattachés à son association Force Républicaine. 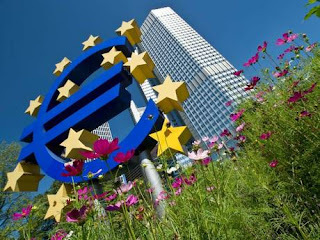 A third bailout for Greece is now necessary and unavoidable - according to EU and German officials. But Chancellor Angela Merkel, who's trying to calm a riled-up electorate, insists that a lot less money will be needed this time round. The early figure being floated for a new Greek bailout is 10 billion euros, though as recent history suggests, that's likely to go up. But the Alternative for Germany Party election candidate Paul Hampel, says that Germans are well aware, of the true purpose of the bailouts. To Voltaire, the British class system could be summed up in a sentence. The people of these islands, he said, ‘are like their own beer; froth on top, dregs at bottom, the middle excellent’. A harsh judgment, perhaps, but one that might still have some truth in it today. Yes, we have horrible poverty in our council estates and toffery on our country estates. But Britain is a country that has always taken pride in what we think of as middle-class virtues — hard work, honesty, thrift and self-help. Today, however, we are witnessing the strange death of the middle class. In Britain, as in the United States, it isn’t just being squeezed — it is actually shrinking and sinking. This is the most disturbing social change of our age and will probably dominate your children’s lives. The lifestyle that the average earner had half a century ago — reasonably sized house, dependable healthcare, a decent education for the children and a reliable pension — is becoming the preserve of the rich. Middle-class pensioners look on amazed at how their children, now into adulthood, seem to have a far harder time. Just as Britain has an unwritten constitution, so the values of the middle class have been tacitly understood — even if they have proven difficult to define. ‘England,’ declared the Liberal MP Charles Masterman in 1909, ‘is the tone and temper which the ideals and determinations of the middle class has stamped upon it.’ Advocating the Great Reform Act, Lord Brougham put it even better. ‘By the people, I mean the middle classes,’ he said, ‘the wealth and intelligence of the country. The glory of the British name.’ The Conservative party, when it has been most successful, has sought to define and champion the middle class — or, more importantly, its ideals. David Cameron tries, still, now and again. His government, he likes to say, is on the side of ‘hard-working people who do the right thing’. Who controls Libya's oil industry: is it the government or regional tribal warlords? With crude exports accounting for 95% of the country's earnings, ongoing strikes are now threatening the nation's lifeline. Moscow is gearing up for the MAKS international air show -- as the latest jets take to the skies we'll tell you about the billion-dollar deals to be struck on the ground. Greece's state TV has been switched on, but is the government switched off when it comes to the country's finances? RT's in-house trader Sean Thomas manages to keep his shirt and even his pants this week as he battles with the bulls and bears on the Russian stock market. Desperate for any kind of job, low-paid workers in the UK are being caught in the trap of what's become known as zero hour contracts. RT's Polly Boiko looks at a world where employment doesn't mean there's any work ... or any money. L’AVENIR.NET: Ce vendredi soir, un Suisse a remporté 93 millions d’euros à l’Euromillions. Un jackpot qui n’avait plus été aussi élevé depuis le 25 juin dernier. Un billet qui change une vie ! Ce vendredi soir, le jackpot de 93 millions d’euros à l’Euromillions est tombé. Le gagnant, un Suisse, a coché les 5 numéros gagnants + les 2 étoiles gagnantes. India's richest man is down to his last $17.5bn (£11.2bn), after the plunging value of the rupee wiped out a quarter of his fortune, in dollar terms. 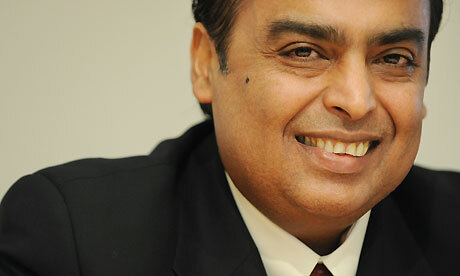 Mukesh Ambani, the chairman of Reliance Industries, which operates the world's largest oil refineries, has lost $5.6bn of his personal wealth since 1 May, according to the Bloomberg Billionaires index. His fortune took a further hit on Thursday, as India's currency hit fresh lows, adding to the sense of panic in emerging markets. Developing economies, excluding China, have seen an outflow of $81bn in emergency reserves since early May, as central banks try to prop up their currencies. THE DAILY TELEGRAPH: The potential effect of new policies on inflation and interest rates has been calculated, showing enormous strain being heaped on savers. Savers stand to lose as much as £33bn over the next three years due to new policies on interest rates and inflation, calculations for The Telegraph show. 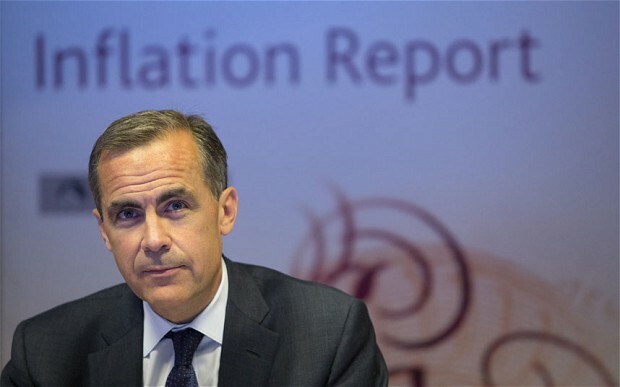 The Bank of England has condemned savers to this fate by allowing inflation to soar above interest rates until at least 2016, campaigners said. When inflation is higher than the return on savings, money held on deposit effectively loses its value – in other words, the cash grows more slowly than the cost of living. This is happening today because the average savings account pays 1.66pc, while inflation is 2.8pc. The Bank of England is supposed to use higher interest rates to keep inflation under control at 2pc. But in a radical policy shift, it said policymakers will not worry about high inflation unless the expectations rise above 2.5pc. On Monday, US President Barack Obama goes back to work after a week's holiday. Hungary is about to pay off its debt to the International Monetary Fund and then wants the creditor gone. The country was saved by Washington-based group with $25 bln loan five years ago but isn't renewing the aid in order to avoid closer scrutiny of its policies. Alexey Yaroshevsky looks at how Budapest is cutting loose. THE DAILY TELEGRAPH: Britain's most senior civil servants are having part of their tax bills paid using public money in an arrangement that leaves them tens of thousands of pounds better off every year. Whitehall departments are picking up the tax bills for perks such as official cars, first-class rail travel and rent-free accommodation. The arrangements, which were described by tax advisers as “highly unusual”, were made between government departments and the taxman as part of a deal agreed more than a decade ago. The effect of the deal is to increase the value of officials’ pay packages by up to £30,000 a year at the expense of taxpayers. 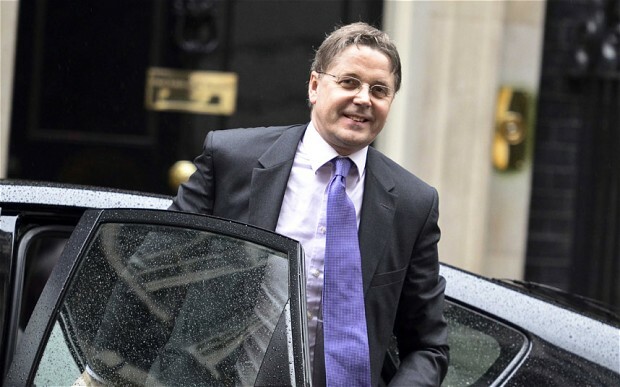 Those who benefited from the scheme include Sir Jeremy Heywood, the Cabinet Secretary; Sir David Nicholson, the head of NHS England; and Phillippa Williamson, the former head of the Serious Fraud Office. THE DAILY TELEGRAPH: An anonymous bequest intended to help Britain's finances has lain untouched since 1928 and is now worth some £350 million. The unknown donor set up the National Fund some 85 years ago with a donation of £500,000 - a huge sum at the time which corresponds to £26.6 million in today's prices. However, it has grown sevenfold and is now effectively the 30th largest charity in Britain by net assets, making it bigger than the Royal British Legion, the Financial Times reported. The original donor, possibly responding to a request from the government in 1919 for voluntary donations from the rich to help pay off Britain's First World War debts, specified that the money should be placed in trust until the country had collected enough money to pay off the entire national debt - which now stands at £1.2 trillion. Rosalía Mera, co-founder of the high street fashion chain Zara and the “wealthiest self-made woman on the planet” according to Forbes magazine, has died aged 69. Ms Mera’s life was a classic rags-to-riches story. 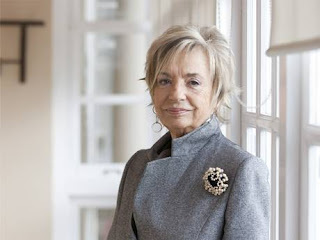 Her family were so poor she had to leave school at 11 to work as a seamstress, but when she died of a stroke on Thursday night while holidaying with her daughter Sandra in Menorca, she was Spain’s richest woman. Her fortune was estimated at €4.7bn (£4bn), second only in Spain to that of her ex-husband, Amancio Ortega, with whom she began her entrepreneurial career by making dressing gowns and lingerie in their living room. They eventually founded Inditex, the parent company of fashion retailers Zara, Massimo Dutti and Bershka and now worth an estimated €15.9bn. Forbes ranked Ms Mera as the 66th most influential woman in the world. She never forgot her working-class roots, however, and raised many eyebrows when she often described herself as left-wing. “You can’t be otherwise when you come from where I do,” she said in a television interview last year. The world is losing trust in the dollar as a safe haven. A major blow came after Germany's Bundesbank demanded the repatriation of a big chunk of its gold being held in the US. Because as RT's Gayane Chichakyan reports, some are concerned the assets of foreign nations in the Federal Reserve are not secure or even there. The Germans were infuriated when the US Federal reserve didn't even let them examine their own assets properly. Peter Boehringer, the founder and chairman of 'German Precious Metal Association', says that's a bad sign. Even one of the most powerful Eurozone economies may be tiring of their obligations. One German political movement is now mounting a challenge to the status quo, hoping to tap into the 25 per cent strong, euro-sceptic vote during this September's general election. THE INDEPENDENT: The property market led the US into a crisis but now, as prices rise and even London is left behind, could it be the country's saviour? New York is surpassing London as the property investment capital of the world once again. 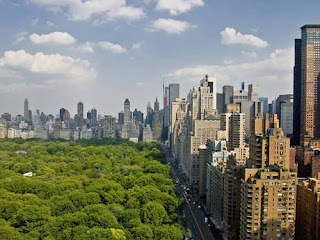 New developments on prime real estate in the Big Apple are commanding eye-wateringly high prices and attracting international buyers in their droves. Richard Wallgren, executive vice president (sales and marketing) of Macklowe Properties, which is currently selling an exclusive range of luxury penthouse apartments priced from $7m (£4.5m) to $95m at 432 Park Avenue in Manhattan, has noticed a turnaround in the past 18 months: "The resurgence in activity coincided with the supply of new super-luxury inventory. Following the 2008 economic crisis, there was a paucity of new construction in Manhattan. Germany and France finally powered the eurozone out of its longest-ever recession between April and June, official figures showed today. The stronger-than-expected 0.3% growth ends six-successive quarters of economic contraction for the single-currency bloc and also heralds better news for the UK’s exporters, which send around 40% of their goods to European markets. 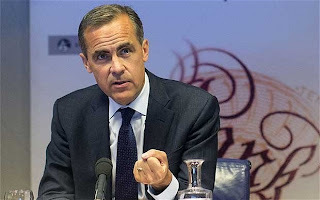 THE DAILY TELEGRAPH: The Bank of England’s rate-setting committee was split over part of new Governor’s Mark Carney’s landmark commitment this month to keep interest rates at a record low until unemployment falls to 7pc. Martin Weale, an external member of the nine-strong Monetary Policy Committee, backed the core proposal of “forward guidance” but wanted to strengthen one of the three “knockouts” that over-rule the unemployment target and force the committee to consider rate rises. Government borrowing costs edged higher and the pound strengthened after the split emerged, as it reinforced speculation that rates could rise sooner than 2016, as the Bank has signalled. The eight other members voted entirely in favour of the Governor's plan, which they hope will drive the recovery by giving households and small businesses reassurance that their borrowing costs will not rise for years. Mr Weale objected to the committee’s pledge to drop the unemployment commitment if inflation was forecast to overshoot the Bank’s central 2pc target by half a percentage point over “18 to 24 months”. Instead, he wanted the over-rule to kick in earlier to prevent any risk the new policy would allow prices to spiral out of control. I know I'm going to be shouted down for saying this, but quite honestly, I wonder whether Mark Carney really knows what he's doing! He certainly has no understanding of many basic things: that people with savings are not going to be able to help boost a recovery because they'll be strapped for cash; that by keeping interest rates extremely low for a significant period of time, it will encourage more people to go into debt; that saving is a legitimate, desirable and essential activity in a normal-functioning, healthy capitalist economy; that a nation of savers is good for a stable economy (consider Switzerland); and that his determination to keep interest rates very low for a long period will push many people into benefits in the future and will ensure that our children will have far less to inherit in years to come. He also doesn't seem to comprehend that it is well-nigh impossible to say in advance that interest rates will remain low for several years ahead, given the vicissitudes of the market. Further, does he realise that with the current influx of immigrants into this country – legal or illegal – it is going to be years away before an unemployment level of 7% will be achieved. And that doesn't even touch on the housing bubble he is helping to create. THE DAILY TELEGRAPH: The Church of England has told parishioners that fracking causes environmental problems and risks lasting harm to “God’s glorious creation”. Did QE Punish Savers for Nothing? THE DAILY TELEGRAPH: Comment: A US study suggests "QE2" boosted economic output by just 0.04pc. Did pensioners and savers suffer for such little gain? Impoverishing savers has been a price worth paying for rescuing the economy – so runs the official justification for the Bank of England's money-printing programme. But it turns out that the benefits of printing all that new money may have been negligible. According to a new study by two senior US economists, America's second programme of quantitative easing, nicknamed "QE2", boosted economic output by just 0.04pc. The former Cypriot finance minister claims the IMF and EU bullied him into accepting an unprecedented bailout proposal. BBC: Wages in the UK have seen one of the largest falls in the European Union during the economic downturn, according to official figures. The figures, which were requested by the Labour Party and collated by the House of Commons library, show average hourly wages have fallen 5.5% since mid-2010, adjusted for inflation. That is the fourth-worst decline among the 27 EU nations. By contrast, German hourly wages rose by 2.7% over the same period. Across the European Union as a whole, average wages fell 0.7%. Other countries that have suffered during the eurozone debt crisis also fared better than the UK. Spain had a 3.3% drop over the same period and salaries in Cyprus fell by 3%. ANALYSIS – JOE LYNAM: These figures, requested by the Labour Party and collated by the apolitical House of Commons library, merely put into firm numbers what we've all sensed for three years or more. The money left over at the end of each month is getting less and less because our salaries have been flatlining while shopping, petrol and energy bills have been rising steadily. Clamping down on inflation, which has been above its 2% target for four years, doesn't appear to be a priority for the new regime at the Bank of England. After revealing a series of trailer clips, OWN's full-length footage highlighting world-renowned fashion designer and film director Tom Ford is now available. The documentary brings to light Ford's every day happenings, as to let you into the otherwise closed quarters of his rather particular lifestyle. While most people think of the Texas native in regards to his overwhelming impact on the fashion industry, there is much more than meets the eye with the well-versed creative. He is also a well-respected Oscar nominated film director whose talents expand far beyond simply building an unmistakable fashion empire. View the entire piece above to gain further insight into the highly intriguing man that is Tom Ford. Internet giant is at the vanguard of the latest digital revolution, one it is testing in Kansas city. Beijing has been pouring cash into the infrastructure of debt-ridden Greece, making it a gateway for investment and trade between China and Europe. On top of that China has become a priority market for the Greek food business. THE DAILY TELEGRAPH: France is facing an autumn of discontent and the economic crisis in the country will be "even worse" next year, Gérard Depardieu has claimed, in the actor's latest broadside against the Socialist government whose tax hikes he famously fled. 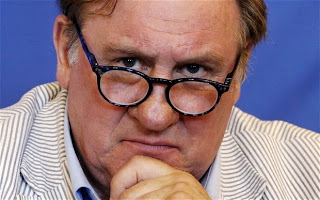 The 64-year old Gallic screen icon made his incendiary remarks while on his first film shoot in France since he took up Russian citizenship and residence in Belgium to avoid President François Hollande's planned 75 per cent super tax on millionaire earners. Despite record unemployment levels and a deeply sluggish economy, Mr Hollande's government insists that there are tentative signs of recovery and that the jobless rate will start receding by the end of the year. Two years since violent riots rocked London and other cities and towns across the UK - and Britain's youth still feels left behind. With the government pressing on with cuts, thousands of young people are falling into long-term joblessness. RT's Sara Firth met a young Brit, who took part in the riots two years ago, to find out if anything's changed. Jeff Bezos insists values will not change as he buys the struggling newspaper, which will be kept separate from his interests in Amazon. MAIL ON SUNDAY: With truly eye-watering illiberalism, the Government is once again trying to hammer family life into a shape that millions of us would reject. It is expected to announce today that it will introduce an on-line voucher system that will subsidise up to one-fifth of childcare costs. By one of those remarkable coincidences that brings a smile to a minister’s face, the day this happy news was judiciously leaked also brought a report that more than two million women are their family’s main bread-winner, equivalent to one in three of those who work. With the cost of childcare going up and up, some might therefore hail the announcement of the voucher as an inspiring example of how ministerial hearts beat as one with the interests of the nation. Unfortunately, however, there are one or two reasons why such hosannas would be wildly inappropriate. First, this subsidy will be available to those on incomes of up to £150,000 a year. That means that even households with two working parents bringing in a joint income of £300,000 could end up receiving this support. This is odd indeed for a Government that, at a time of supposed austerity, never stops telling us the better-off must bear a disproportionate share of the national pain. The real downside of this childcare voucher, however, is that it is a subsidy for working mothers alone. Plans to give childcare vouchers to families with two working parents were branded ‘deeply insulting’ to stay-at-home mothers last night. George Osborne will today unveil a scheme to hand up to £1,200 of taxpayer-funded childcare per child to families where both parents have a job, in a bid to encourage women back into the workplace. But the Chancellor was accused of ‘stigmatising’ mothers who stay at home to care for their children, and of ‘discriminating against’ traditional families. One critic said it was a ‘further example of how out of touch he is’. Under the plans, the scheme will be available to double-income households where neither parent earns more than £150,000 – meaning families with incomes of up to £300,000 could still benefit. This is in sharp contrast to the cuts to child benefit, which have hit the incomes of families where just one parent earns more than £50,000.